Help us to let our voices be heard loud and clear that we oppose the planned development at 5150 N. Northwest Highway, another high-density proposal. We have organized as a community to fight this planned development. To keep up this fight, we need community support to help cover the cost of legal fees, traffic studies, appraisals, printing, etc. Please help us by donating whatever you can to help fight the development planned for 5150 N Northwest Highway. More community input needed: Alderman Arena unilaterally downzoned the 5150 parcel. He did that after a company bought it and was in process of renovating it for a permitted use. There was no community input into his decision and now he is bound by a settlement agreement to support the zoning change to the highest density zoning category in the surrounding area. A change like that deserves significant community input! Existing Community Plans: This project does not comply with the recommendations of four stories or less in the Gladstone Park Corridor study, which was signed off on my Alderman Arena and created after 2 years of community input. Safety: The added congestion will exacerbate the already dangerous intersection at Milwaukee/Foster/Central and imperil safety in the area. Overcrowded schools: According to Alderman John Arena, our schools are “only 117%” overcrowded. A 100 unit tower with 51 three bedroom apartments, combined with the already approved 200 units elsewhere, will make overcrowding much worse! Infrastructure: Creating two huge buildings may negatively impact our aging infrastructure and add to basement flooding in the immediate area. Before continued density is added to our low-density community, infrastructure risks and concerns must be addressed. Any funds raised but not spent to oppose the development will be donated to a reputable Veteran's support organization and a support organization for individuals with disabilities. The planned development at 5150 N. Northwest Highway (#19084) does not comply with the recommendations of the Gladstone Park Corridor Study in that both proposed buildings exceed four stories. 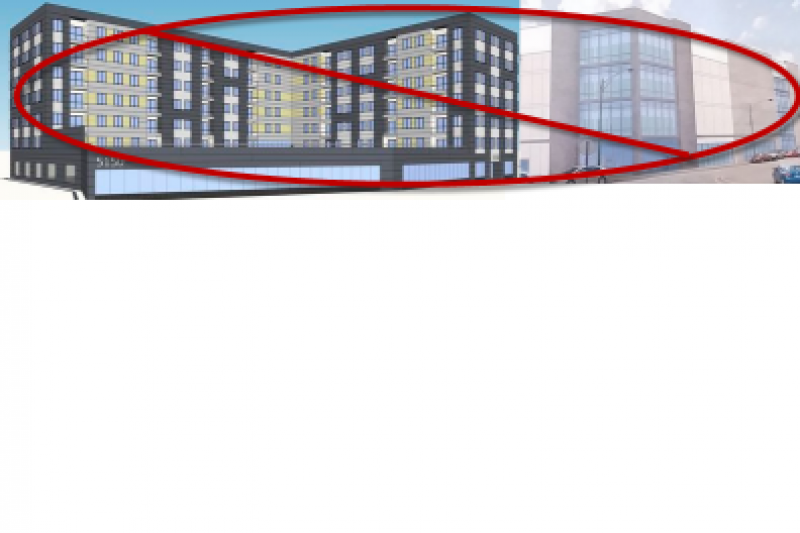 In an effort to maintain the character of our neighborhood, community residents, business owners, Aldermen Arena and Laurino, State Representative Martwick, and Senator Mulroe agreed that all new buildings should not exceed 4 stories within the corridor. Spot zoning and extreme density as planned will forever change the character of our neighborhood. This campaign has been started as an effort by Northwest Side Unite. Northwest Side Unite is a group of neighbors from Jefferson Park that created a non-profit entity to fight against the continued density that is being brought to our neighborhood without broad community support or input. All funds will be withdrawn into the non-profit's account and will be used to pay legal fees, advertising, printing, etc to support the cause. You, your friends, your family and your neighbors have been fighting against plans for extreme density in Jefferson Park. Hundreds have gone down to City Hall to voice their opposition. Thousands have signed petitions. We have filed a lawsuit. You have already donated to the fight, and we appreciate that! But legal battles can be costly, so we are also hosting a FAMILY FRIENDLY fundraiser on Thursday. There will be food, free bingo, a bags tournament, and AWESOME PRIZES! Mo Dailey's Pub and Grille (6070 N. NW Highway) , Thursday June 8, From 6-9 PM. We need to show up by the HUNDREDS for these 2 meetings - take a personal day if you can, or think of your grandma, your favorite waiter who's off on Monday, a neighbor who stays home with the kids, and find a way to get there. If you can come for the full day, please do. If you cannot, please come for whichever portion you can. For those needing help with transportation, a group has arranged for a bus. It will leave from 5301 N Milwaukee at 8:30am and then 12:30pm. Return trip is 6:00pm. Please do not park in the lot. Email 45thResidentsAgainstUpzoning@gmail.com if you will be using the bus. Our last update had the day of the week wrong for the Zoning Meeting for 5150 N Northwest Highway. It is MONDAY, MAY 22, 2pm (City Hall, 2nd Floor). See you there, and sorry for the confusion! For questions, contact us at nwsideunite@gmail.com. Northwest Side Unite hosted a Press Conference today at City Hall to present over 5,500 signatures of opposition to 5150 N Northwest Highway to Mayor Emmanuel. We head back to City Hall (2nd Floor) on Tuesday for the zoning Committee Meeting at 2pm. WE NEED YOU TO JOIN US! We need to come together once again as a community and stand together for transparency, community input, and 4-stories or less! Protect our neighborhood and the future of our children.